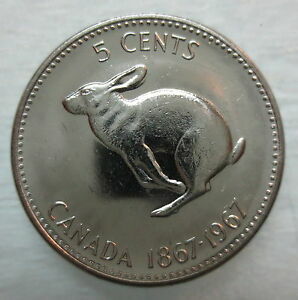 1967 Canadian Brilliant Uncirculated Confederation Centennial 1867-1967 5 Cents! 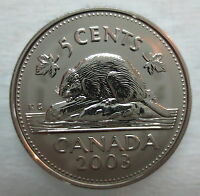 Average-looked coin. Worth for money if you buy higher-graded slabbed. 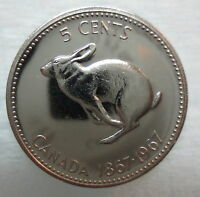 This 1967 Canadian Five Cents is very common coin even higher grade. 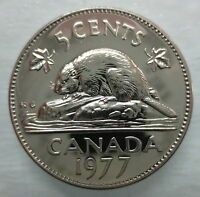 Mostly 1967 Canadian Five Cents are hoarded in past and now they are released recent years. 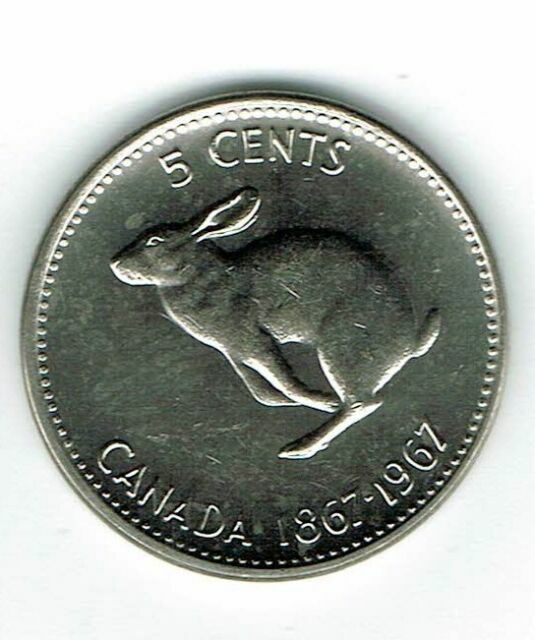 Best advice for anyone to buy any 1967 Canadian Five Cents are slabbed with much higher grades as MS-66 and above even PL 67 or above which are best investment. Most of them are lack of sharp details and even slightly nicks from bag marks. 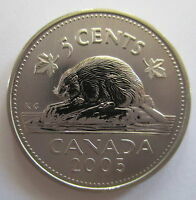 It easily acquires for making a Canadian Nickels Set. For purchasing it is all up to you, if you feel comfortable to buy it. 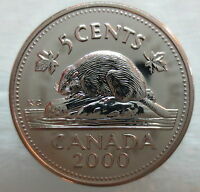 This coin was very good quality and was exactly as described. It was exactly like in the photos and matched the description. It is a very good item for collectors such as myself. 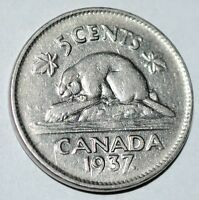 Coin was new, bright and just the right size for a lapel/cap pin.